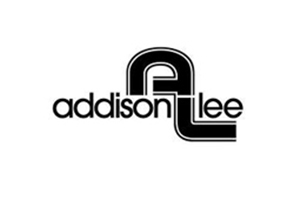 Addison Lee is Europe's largest minicab service with over 3,000 premium minicabs, taking approximately 150,000 calls a week. They wanted offer customers a way to call to book a minicab without necessarily speaking to a contact centre agent. Owing to their high volume of calls, Addison Lee wanted to improve customer service to offer customers a way to book a minicab without necessarily speaking to a contact centre agent. Using Eckoh's advanced speech recognition technology the service allows a cash customer to provide the time they need a cab and the pickup and drop off locations. Their details of their journey are then confirmed to their mobile by text. Any previous journey information for that particular customer is used to improve the accuracy and speed of the system. This service has helped Addison Lee to efficiently manage the time of the year when calls to their contact centre are at their highest, eliminating the need for callers to queue for an agent. Peter Ingram, IT Director at Addison Lee said, "We have been really impressed with how responsive and flexible Eckoh have been to our needs and how well they've delivered on our requirements. The automated solution has helped us manage our incoming calls much more effectively, which is particularly useful in a business like ours where call levels can increase massively and unpredictably. The service has given our cash customers an alternative way of booking over the phone and we're looking forward to offering the same flexibility to our account customers. We have been really impressed with how responsive and flexible Eckoh have been to our needs and how well they’ve delivered on our requirements. The automated solution has helped us manage our incoming calls much more effectively, which is particularly useful in a business like ours where call levels can increase massively and unpredictably. he service has given our cash customers an alternative way of booking over the phone and we're looking forward to offering the same flexibility to our account customers.